This course is the same as the daytime version but is run from 6:00 p.m. to 1:00 a.m. Prerequisite Class(s): Two day or two night Empty Hand Defense course. Enjoy the cool temperatures of evening. 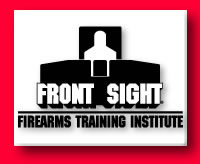 This course is available for our members, family and guests who haven`t been out before to take a day course with us and so do not meet the prerequisite to attend a night firearms course. Note that you must have attended an Empty Hands Defense course (Day or Night) in order to enroll in the Edged Weapons course. Minimum age is 13 years old when accompanied by a parent. Must also have meet the prerequisite of having attended Empty Hand Defense prior to taking this course.